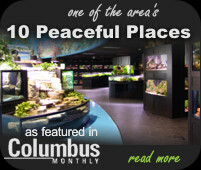 Increased environmental awareness, and the push to find a new challenge or dimension to freshwater aquarists has rejuvenated the interest in keeping live plants in the aquarium. 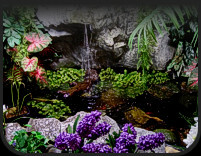 Commonly referred to as “Dutch Aquarium", this European concept is beginning to catch on in the U.S. For years, Europeans have kept indoor “water gardens” (aquariums) loaded with live plants, and displaying only a few fish to accent their garden. This approach is opposite from the traditional fish keeper who considered fish the primary attraction in the aquarium. It can be argued that a true fish keeper would be hard pressed to create a biologically-balanced ecosystem more beautiful than one that is well planted with live vegetation. Similar advances in technology and propagation which have made the marine aquarium hobby easier have also been developed for the live plant aquarist. With such innovation making live plant care easier today, the hobbyist must still have the proper understanding and equipment to be successful. Common ground for any aquarists is to keep a watchful eye on aquarium water conditions, feeding, lighting, and the growth and death of the animals and plants. 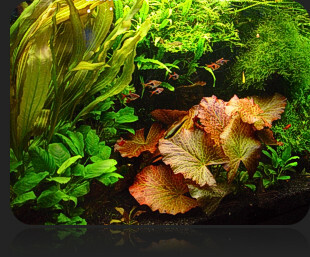 One of the most beneficial factors from live plants in the aquarium is the supply of oxygen. Oxygen is very essential to the survival of the biological system and inhabitants of any aquarium. Through a process known as “photosynthesis,” live plants utilize the carbohydrates from inorganic substances such as water and carbon dioxide (which is respired by fish) as a food source and, in turn, release oxygen as a by-product. This is a very unique relationship. The toxic waste created by fish provides food for the plants, who return the favor by giving off oxygen so the fish can breathe. We will discuss how adjusting carbon dioxide levels in the aquarium affect plant growth later in this handout. Nitrates, found in fertilizers, are another substance plants use in photosynthesis. A working biological filtration system produces nitrates as a result of the nitrogen cycle (see “New Tank Water Conditions” tip sheet). Aquarium plants actually complete the nitrogen cycle by eliminating nitrates from the water. 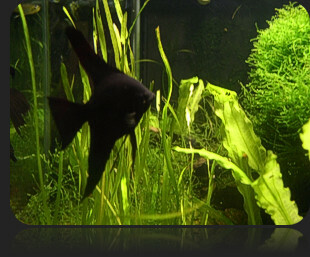 Consequently, live plants generally do not fare well in newly established aquarium conditions where nitrate levels are low. An alternative for new tanks is to supplement with a fertilizer containing nitrates. As the tank ages, live plants will use up abundant nitrates, helping to minimize algae growth. Iron (Fe) is another important nutrient needed for healthy plant growth. Generally, most plants with a bright red, or reddish orange color indicate a regular need for iron additives. Green plant leaves that tend to “yellow” quickly may be showing signs of iron deficiency. Most good plant additives will contain nitrates, phosphates, iron, and other nutrients which can be administered easily and on a regular basis to the tank. The energy which powers the natural process of photosynthesis is the sun. In our aquariums, artificial lighting is critical for the healthy growth and reproduction of live plants. There are two important factors in lighting— intensity and photoperiod. Intensity refers to the strength and color of the light. Most plants require the red and blue spectrum in sunlight. Hobbyists attempting to cultivate live plants must use fluorescent or metal halide lighting specifically designed to emit these spectrums. The strength of light needed will depend upon the size of the aquarium. Generally, two (2) watts of lighting per gallon is recommended for sufficient plant growth. Photoperiod represents the length of time the light is turned on. 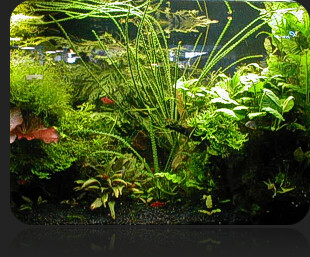 A ten to twelve (10-12) hour light cycle is suggested for a planted aquarium. Consistency in photoperiod can be obtained by purchasing an inexpensive light timer. Hobbyists can experiment with increasing or decreasing the photoperiod to affect the growth rate of their plants. Water hardness and pH are other parameters which need to be monitored in an aquarium bearing live plants. Water Hardness refers to the amount of minerals in the water. This measurement ranges between hard (high degree of minerals) and soft (low degree of minerals). A test kit can be purchased to measure hardness. Most tropical plants come from waters where there is 8 degrees or less of hardness. However, there are some tropical plants which will do well in water that is 8 to 12 DH (degrees hardness). There are even a few plant species which will flourish in water over 12 DH. The pH (potential of hydrogen) of the water, whether it is low (acidic), neutral, or high (alkaline) also needs to be measured for the particular types of plants being kept. Most plants do well in lower to slightly higher than neutral pH. Test kits are available to monitor pH levels. To be successful in growing aquarium plants, a hobbyist must first reference the water quality for the type of plants desired and adjust water hardness and pH accordingly. There are several ways this can be done. One method is to use R.O. (reverse osmosis) or D.I. (deionized water). Like rainwater, R.O. and D.I. Water do not contain hard minerals, thus softening aquarium water. Another technique is to filter the aquarium water through a peat moss, as this will lower the pH of the water. The peat moss can also be placed in a power filter or under the gravel if using an under gravel filter. Different planting techniques are required depending upon the plant species. For plants which require a substrate, we suggest using a coarse sand, or fine gravel. Some species of plants will grow roots as they float, therefore not requiring a substrate. Other unique species will root or attach to rocks and driftwood. When planting “bunch” plants, take the rubber band or lead weight off so that each strand can be prepped and planted. To prep the plant strand, a 1.5 inch bar stem is needed. Pull off all the leaves down to the node (where the leaf connects to the stem) which will allow the bare stem to grow roots. The plant stems can now be floated in the aquarium for a few days for roots to develop, or planted for roots to sprout in the substrate. Bare root plants need to be planted like outdoor plants. A hole in the substrate, large enough to accommodate the roots will need to be made. After gently placing the plant roots in the hole and spreading them out, carefully cover the roots with enough substrate to hold the plant from floating away. Make sure you don’t push the crown of the plant (the node from where all plant stems radiate) below the ground surface. Doing so, can cause damage to the crown, and alter growth. Plant species which root on wood and rocks will require a little help in getting started. After choosing the appropriate rock, wood, and plants, attach the plant base and roots to the surface using monofilament fishing line. Later, after the plant roots have grown and attached themselves securely to the wood or rock, the fishing line can be carefully cut away. Carbon dioxide (CO2) gas, injected into the aquarium water can have a tremendous impact on plant growth. Photosynthesis occurs during daytime and with the help of light, plants consume CO2 and produce oxygen. During the night, when light is not present, plants consume oxygen and respire CO2. Injecting CO2 gas is best conducted using specialized equipment. Here is what you will need: CO2 tank along with a regulator, a water/CO2 reactor chamber, a bubble counter, a check valve and solenoid valve hooked to a timer (off at night, on during the day) or a pH controller (which is more accurate). By injecting CO2 gas in measured amounts, the hobbyist can provide extra carbohydrates in order to photosynthesize and boost plant growth rates.